Recently a friend and I decided to pack a lunch and spend the afternoon walking the portion of rocky shoreline along Rte 1A in Rye NH. This drive from Hampton up is simply breathtaking. While walking the shoreline I fell in love with the beach rocks and started collecting them in my lunch bag. By the end of my walk and one quite heavy load I had a plan in mind to showcase these beauty’s! 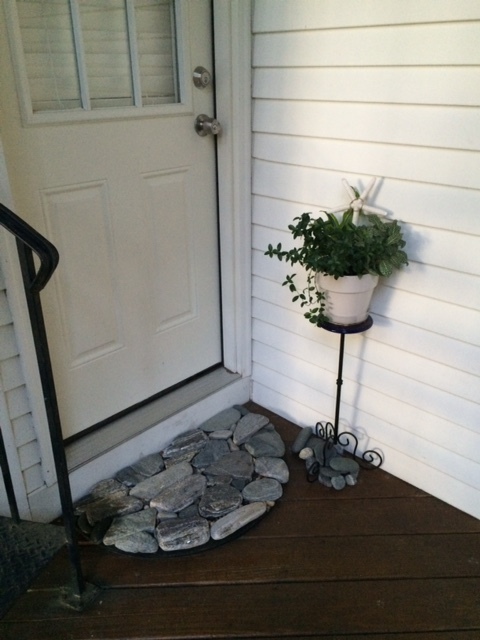 Once home I flipped my old door mat over, arranged the rocks likes a jigsaw puzzle and secured them with some epoxy glue. I now have a constant reminder of that lovely afternoon in Rye. 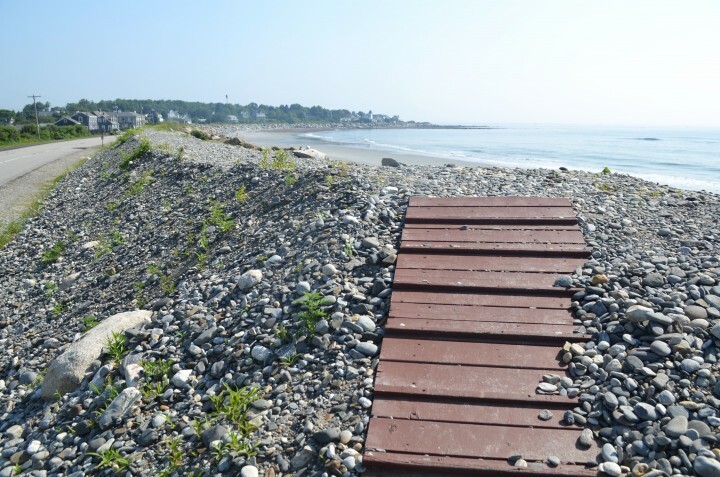 Rye NH, Beaches, Seafood & Seaside Fun…. Next Get Ready, Set & Let’s Go, Newburyport Yankee Homecoming 2016! Previous Dreaming of Living at the Beach, Come to our Open House….